When the Used Apple Store of Derry, NH announced that Republican customers would be turned away—for being “evil”—it wasn’t doing anything illegal. Or, it turns out, all that unusual. The Trump era has inspired a spate of stories about businesses large and small refusing service to Republicans and/or Trump supporters: Tech companies who’ve announced they will “will no longer do business with any person that is a registered Republican or supports Donald Trump;” fast food restaurants where Trump fans go unserved. Perhaps, but they also make up a (slim) majority of the voters registered by party in New Hampshire, not to mention their local customer base. Donald Trump beat Hillary Clinton in Derry 58-42 percent (Trump lost statewide by less than 3,000 votes). So why do it? 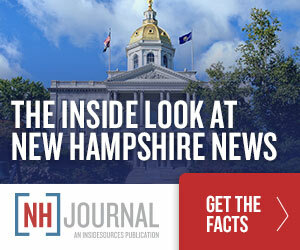 Juliano also noted the entire story is somewhat ironic, given the New Hampshire legislature is currently in the process of expanding anti-discrimination protections to include gender identity. The Republican-controlled House Judiciary Committee sent the bill on to the full House for consideration last week, and Gov. Chris Sununu (R) has expressed his support. And in the wake of the 2016 election, major retailers like Nordstrom, TJMaxx and Neiman Marcus began dropping Trump-branded products, under pressure from an anti-Trump movement called #GrabYourWallet. Some shoppers responded by saying this move made them, as Republicans, feel unwelcome. “I expected Nordstrom to have better class than to have such a one-sided view” of politics, Dawn Hudspeth, a conservative-leaning shopper told Racked.com. She noted a (since-deleted) tweet from a Nordstrom senior management official celebrating their decision to drop Ivanka products with #YesWeCan! #YesWeDid! “Adult business professionals don’t behave this way,” Hudspeth said. The comments from the owner of the Used Apple Store would tend to back up her thesis.